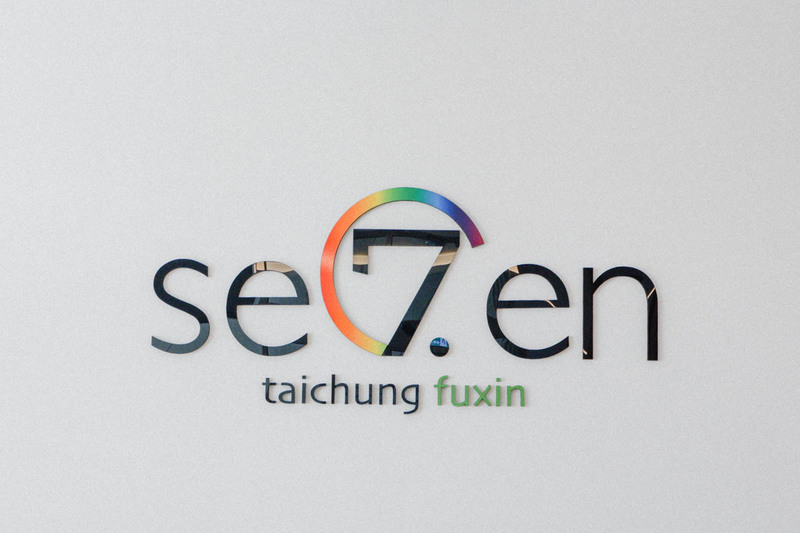 For our final night in Taichung City we checked in to Hotel Se7en. 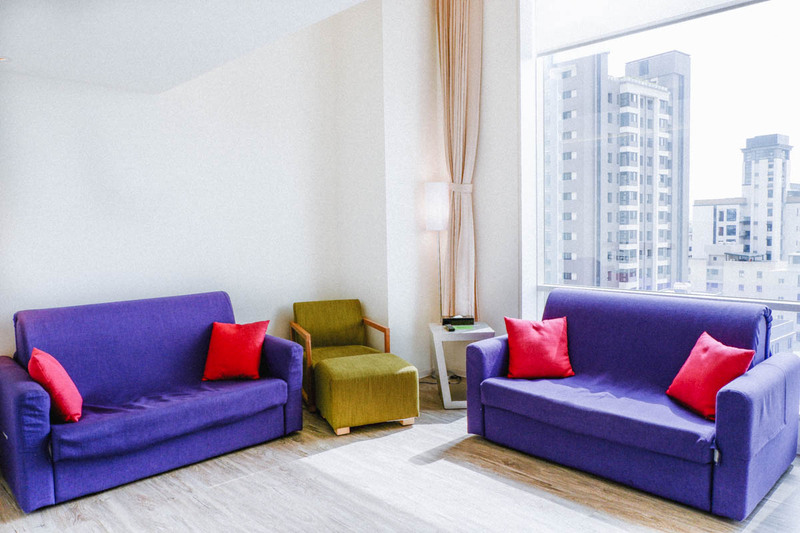 Located at 45 Fuxing Nord Road, the hotel was conveniently located at Xitun district. 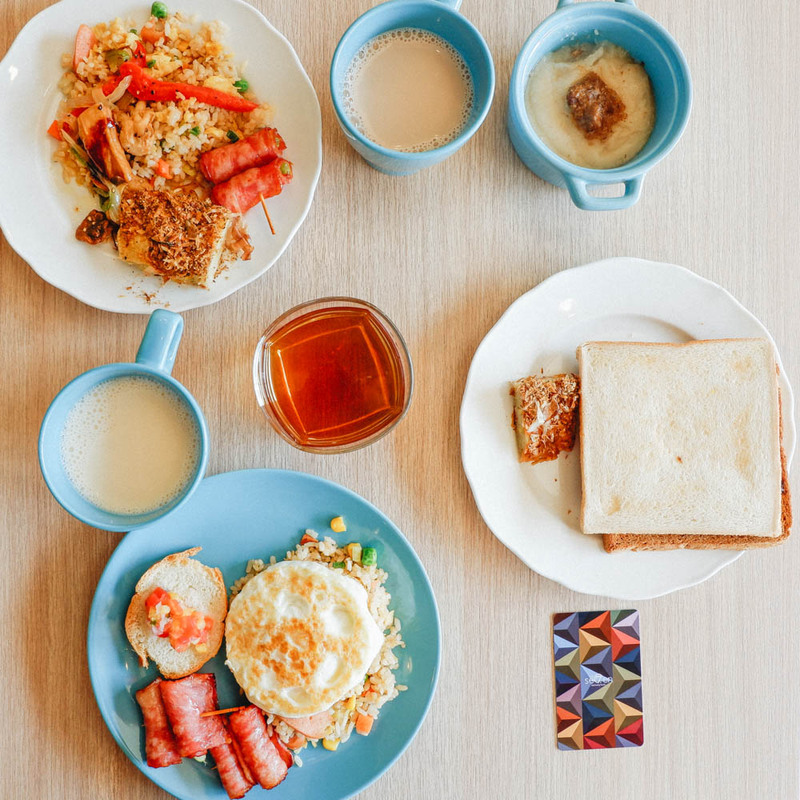 It is very close to nice restaurants, stylish cafes, and it is only an 8 minute walk to the famous Feng Chia Night Market. 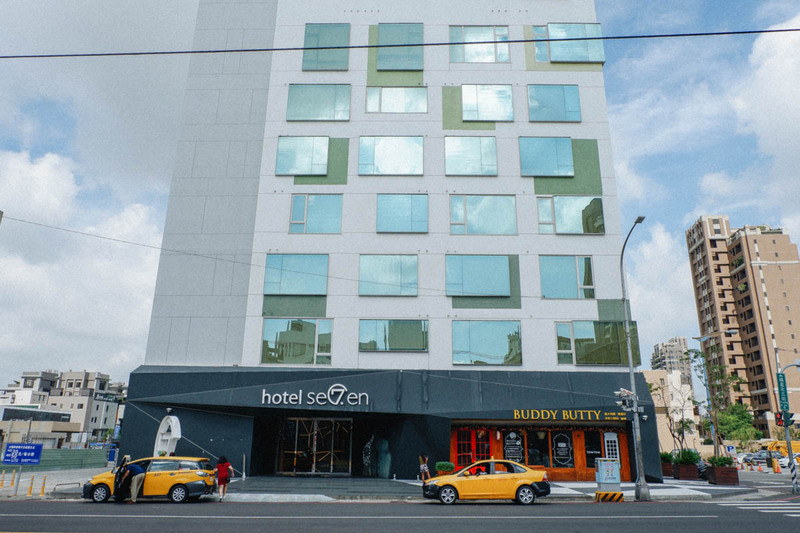 Before arriving, I already knew that Hotel Se7en was exactly the type of hotel I love to stay in: modern, sophisticated, and stylish. Unbeknownst to us, we had saved the best to last in Taichung before we head to Taipei the next day. After our chartered car pulled up outside Hotel Se7en, I was immediately in awe as I saw the inside from the car. 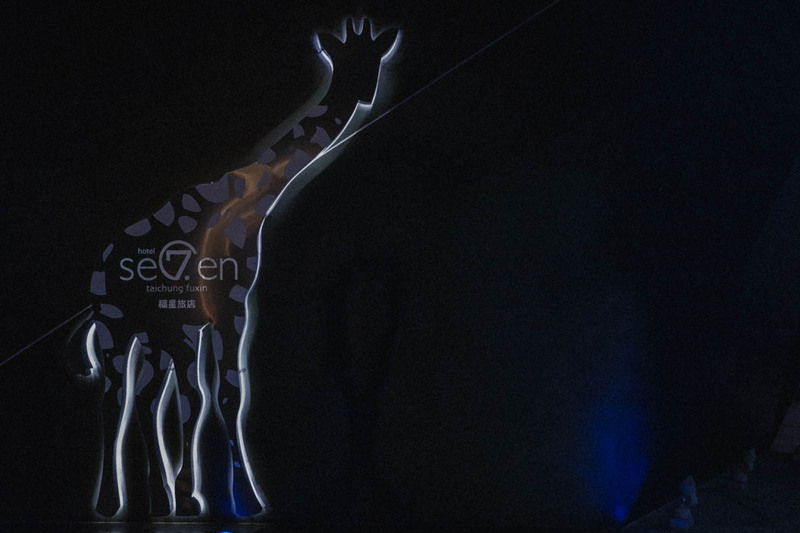 The "7" logo glowed in white lights on the left of the entrance. After being greeted by two attentive doorman who took our luggage, we quickly checked in inside the calm and elegant lobby. The lobby was amazingly spacious and the geometric detail design was oozing throughout the whole property. 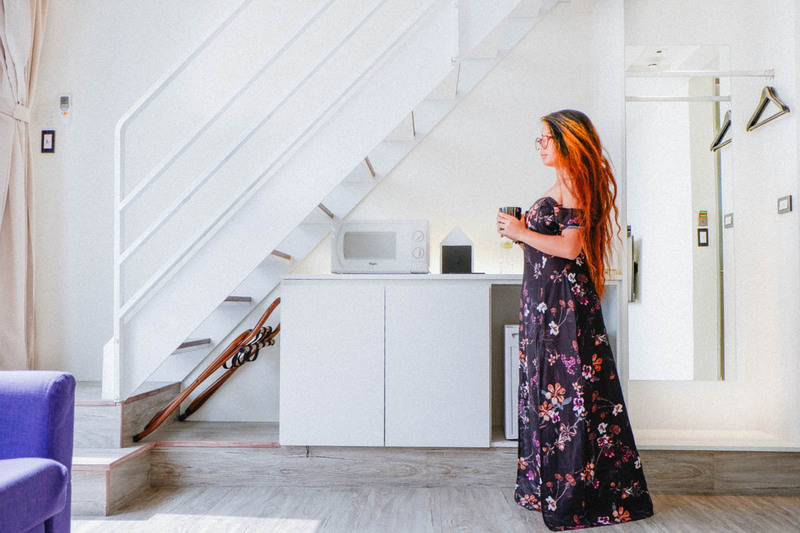 I was ecstatic as I tap my key card to a new hotel room, and walking through the doors of the loft suite at Hotel Se7en was a pretty special moment. 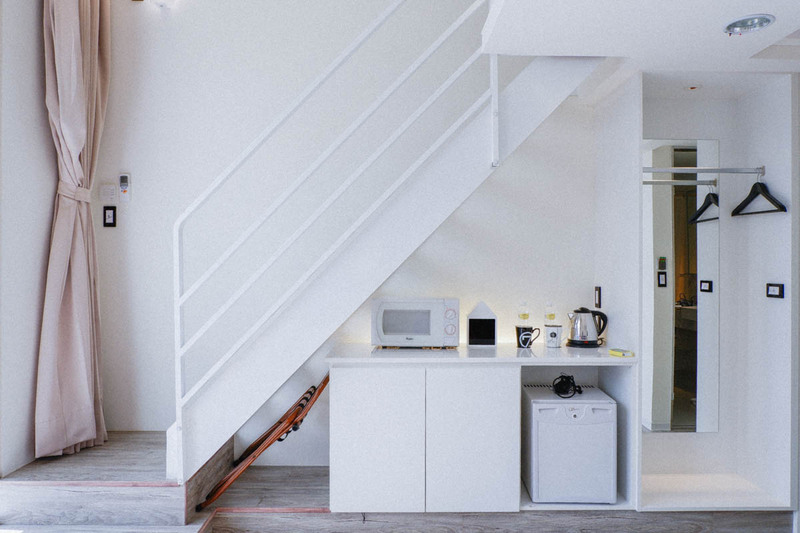 The spacious loft spreads at 33 square meters and had a stylish and contemporary interiors. 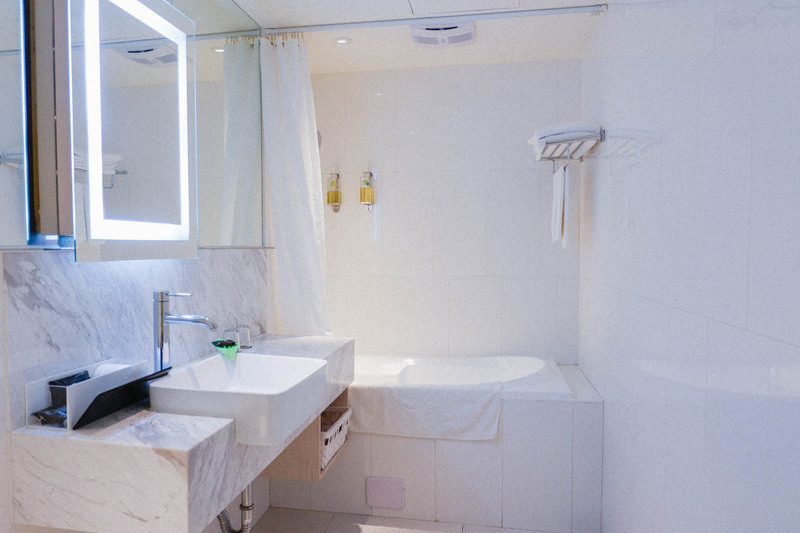 The bathroom was equipped with lush fluffy white towels, hygiene kit, and a bathtub. 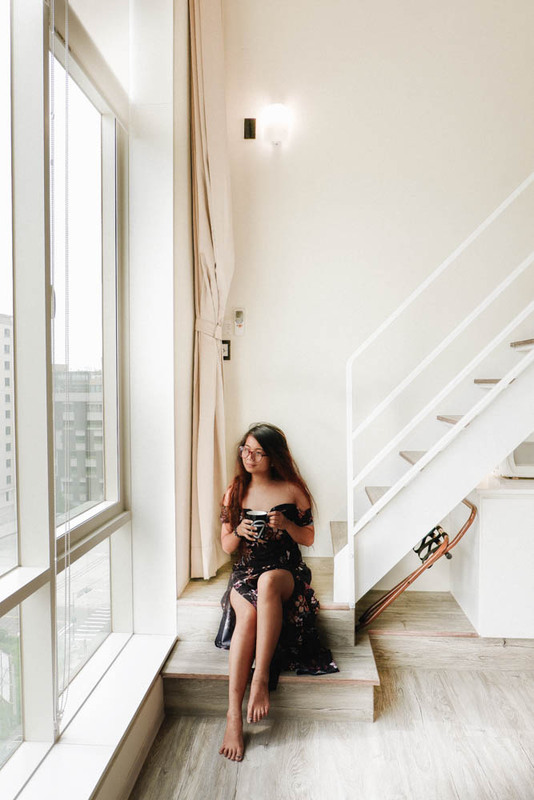 The floor to ceiling windows provides a picture perfect sight, which means the Taiwan sunshine poured in from sunrise. On our first morning at the hotel I got up super early and managed to catch the first golden glow of the day. It was equally magical especially during at night too. The spacious lounge area was propped with two sofa-beds and a lazy chair on the corner. Right next to the clothes rack is a mini kitchen with a microwave, tea drinking facilities, and a mini-bar. The beautiful suite exceeded all of my expectations, but there was one more surprise left for us to discover. Upstairs of the suite is a large double bed and it was without a doubt the best bed I slept in during my time in Taiwan. The sheets were silky soft, the pillows were fluffy and the mattress below felt like a cloud. There was no better feeling than crashing into this bed after a day exploring Nantou. I loved that the suite is overlooking a picture perfect city. 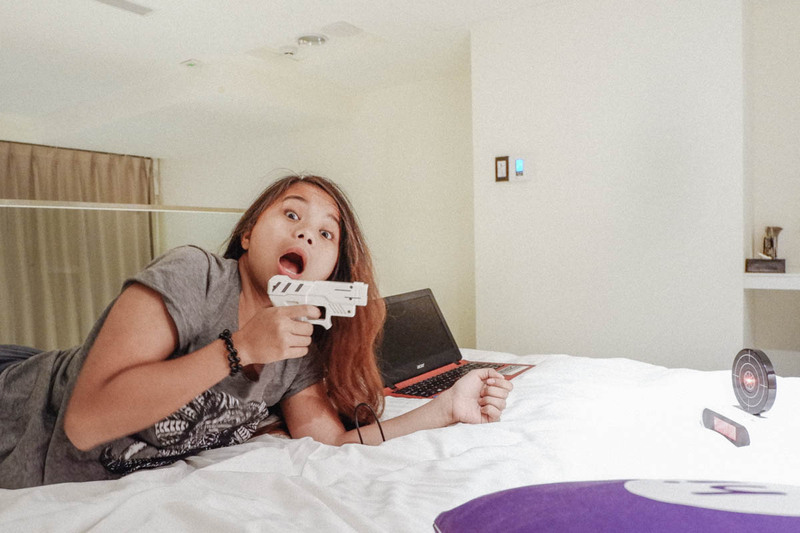 During our stay, we discovered a toy gun on the bed side table and we were actually wondering what is that for. My first thought: "Maybe, someone just left it". My second thought: "Maybe, it's a call or emergency button where you press the trigger. You know, those one-touch button and they would actually connect you to the front desk or something". Little did we know, that the toy gun was actually for the alarm clock. Here's how it works! Every morning you can wake up to one of three games. When the alarm goes off, the Gun O'Clock target pops up, and you have to grab the gun in time to shoot it to turn the clock off! It's a great way to bring you to your senses when the snooze button simply isn't an option. We actually had fun playing it. 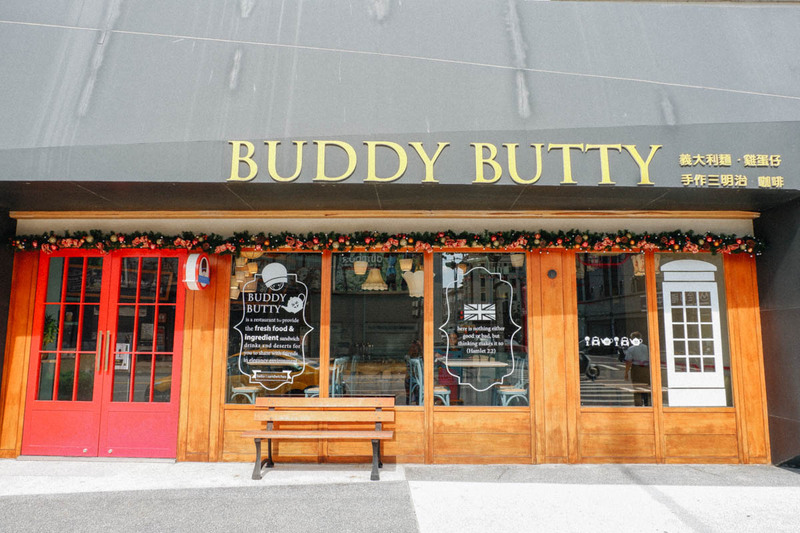 The Buddy Butty is Hotel 7's main and only restaurant and cafe. It looks stylish on the outside and equally as stunning inside. 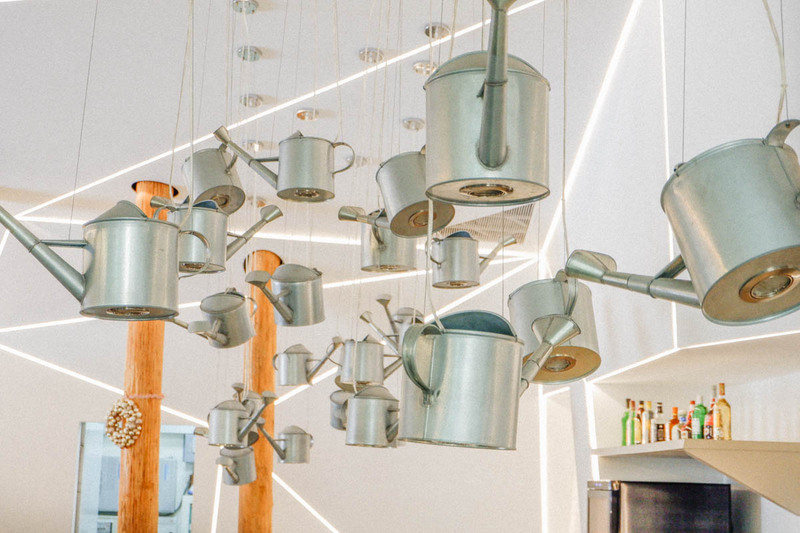 I love how they designed this restaurant cafe and how the upside down theme effortlessly transcended throughout. We enjoyed a breakfast here on our first morning. 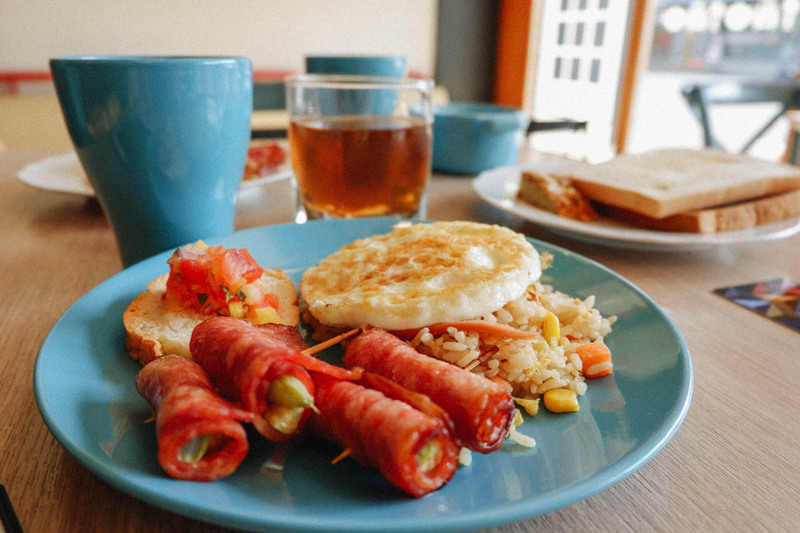 The heavenly breakfast offerings is vast and I remembered having fried rice with mix veggies, eggs, bacon, and toast and butter to taste on my plate. It was just so sumptuous and truly a taste of heaven. The delectable breakfast helped set our mood for the whole day. 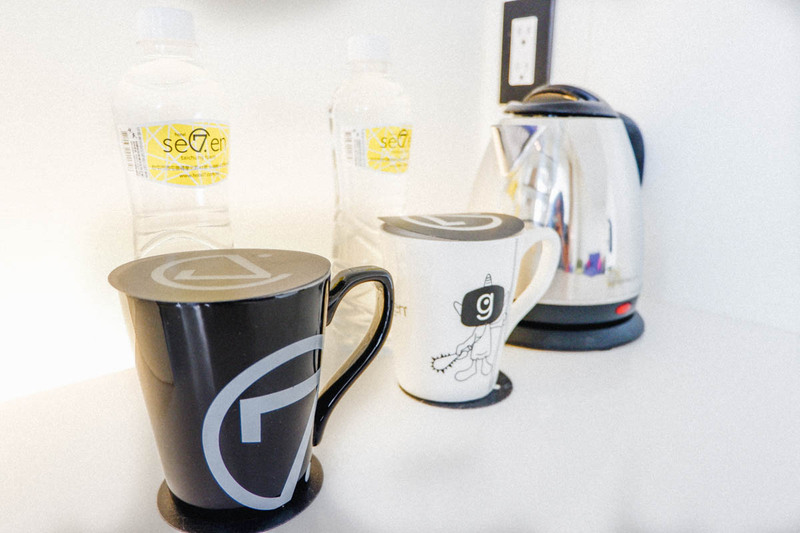 The Giant's Pantry is Hotel 7's entertainment-room-slash-pantry which is located at the 9th level. This is also where you can find the sun terrace. 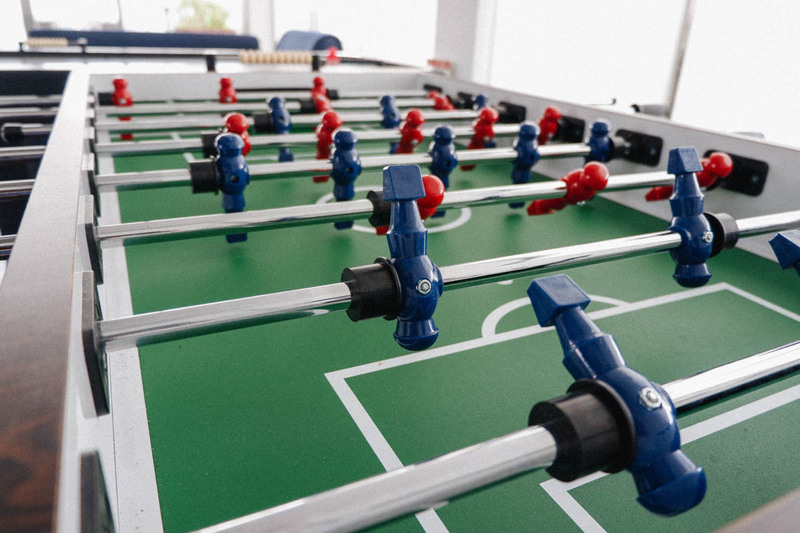 The room has various game tables like Foosball. 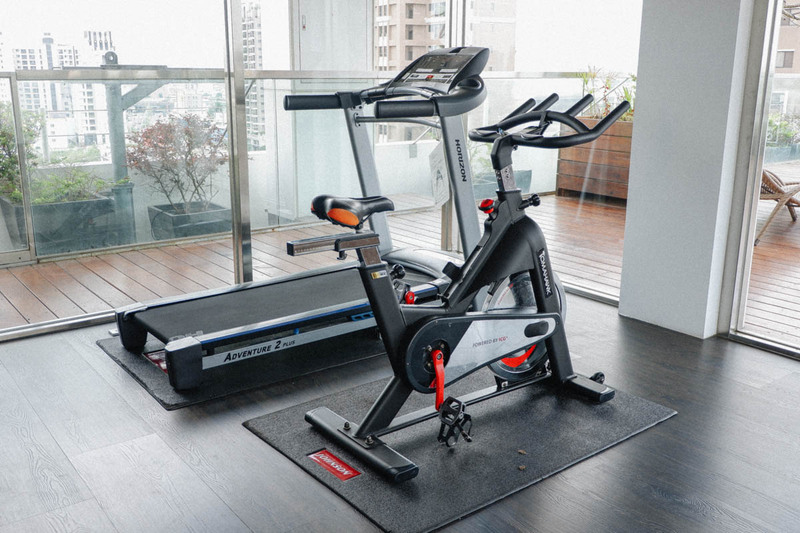 It also has a treadmill and a stationary bike for those who wish to loose extra pounds. 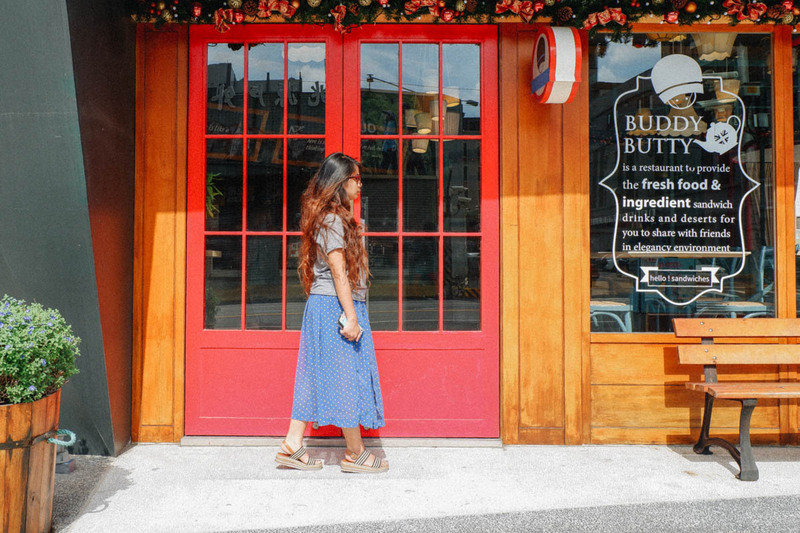 Next to the entrance is a self-service bar where you can get free over-flowing coffee, milk tea, tea, and chocolate drink. I am obsessed with milk tea and this 24/7 service makes me love this hotel even more. 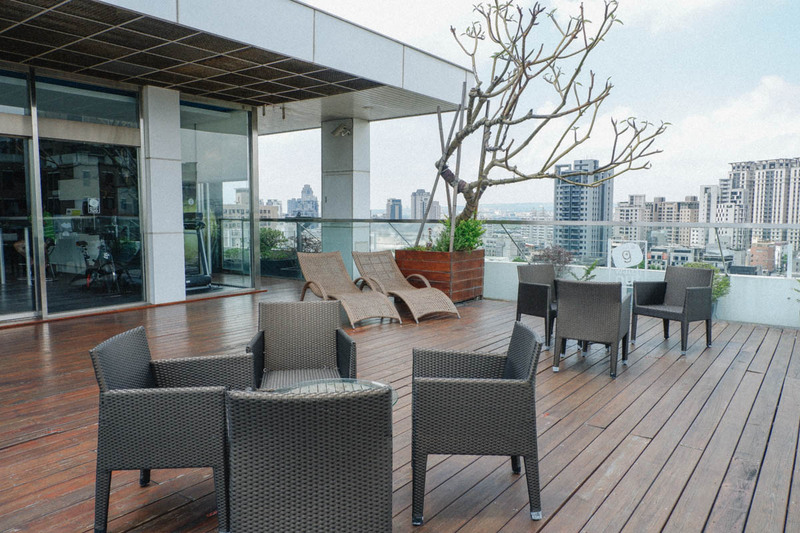 The sun terrace provides an awe-inspiring view of Taichung. After a tiring day, it was just perfect to come up here at night under the stars, sipping a warm milk tea from the bar, and enjoying the magnificent view. 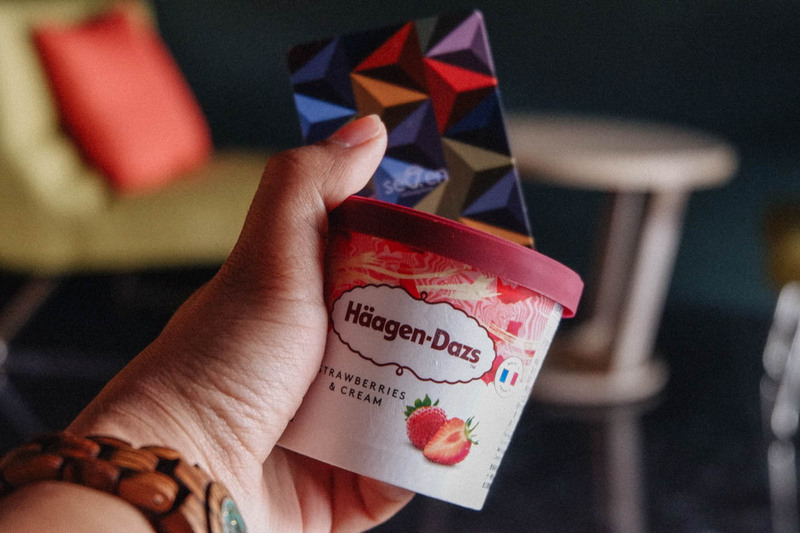 During our stay, we received a complementary sweet treat from the hotel and it was the high-end Haagen Dasz ice cream. These personal touches gave a much needed respite from the outside heat. 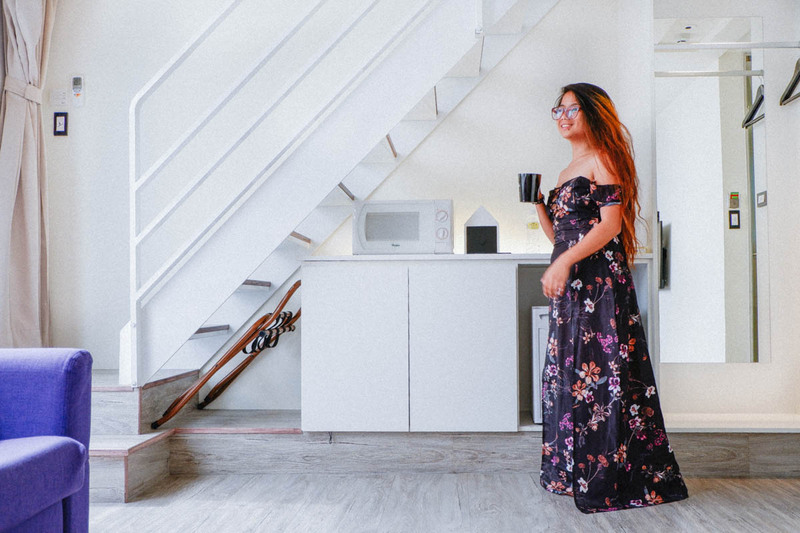 Once we came to Hotel 7 our stay in Taichung got even better. 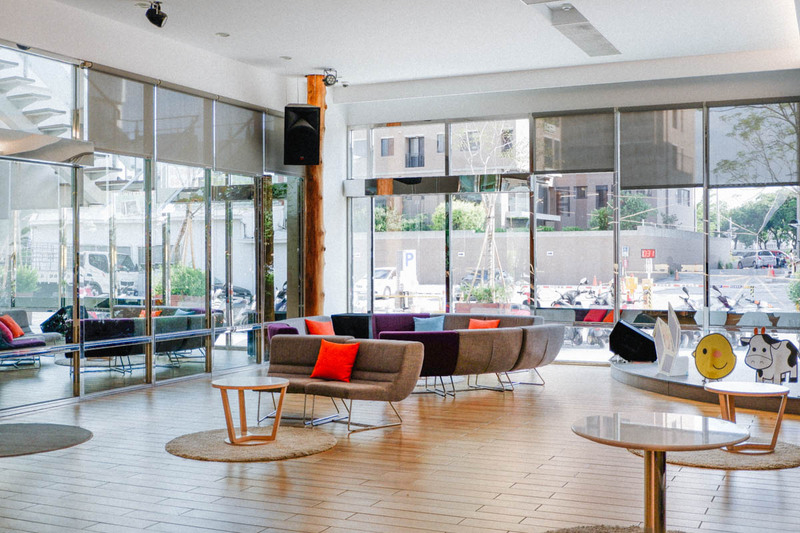 Hotel 7 is a true haven in a trendy area of Taichung: well-designed and maintained. After an exhausting day trip to Nantou, it was nice to come back to a nice and calm hotel, and just relax at the sun terrace during the night. The over-all service was great and the hotel staffs are very friendly and helpful (they even provided a laptop charging cable to my friend who left hers back home). Nothing felt too much trouble. In a nutshell, Hotel 7 deserves my seal of approval and I couldn't recommend them more. 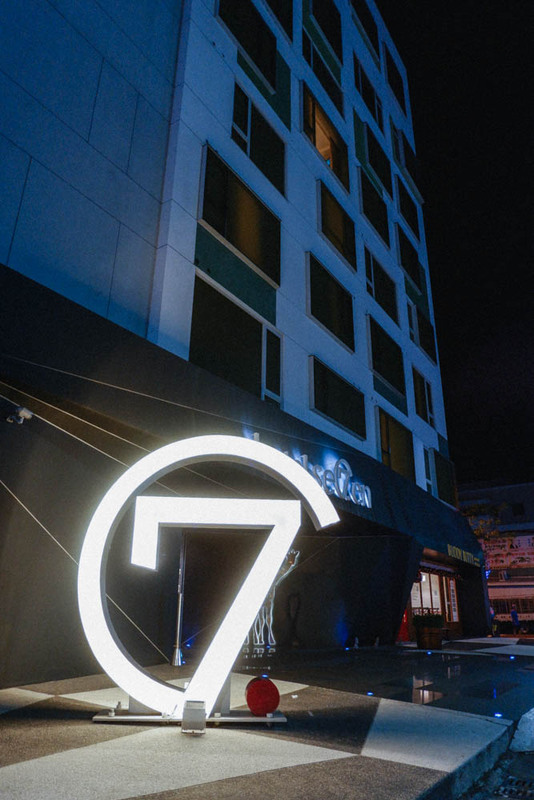 If you’re looking for a quiet and a relaxing stylish hotel, with impeccable service in Taichung then Hotel 7 is ideal for you. 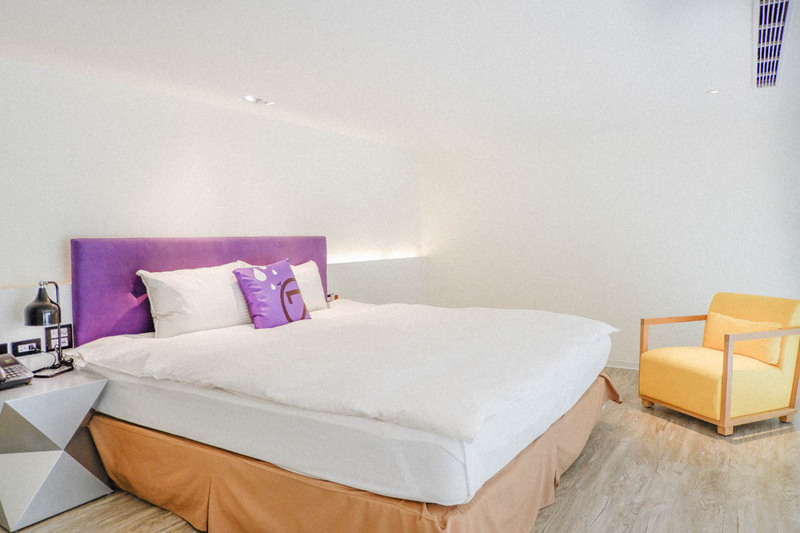 Rates at Hotel 7 Taichung start at TWD3,599(USD120; PHP6,200) per night for a standard room and TWD4,600 (USD153; PHP8,000) per night for a deluxe family room. The closest airport is Taoyuan International Airport, which is just about 40 minutes train ride away. 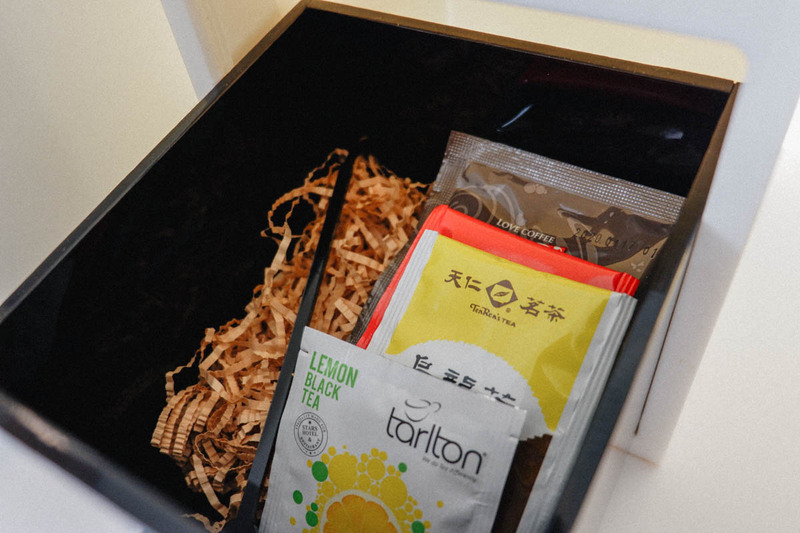 Read more reviews of Hotel 7 Taichung on Trip Advisor. 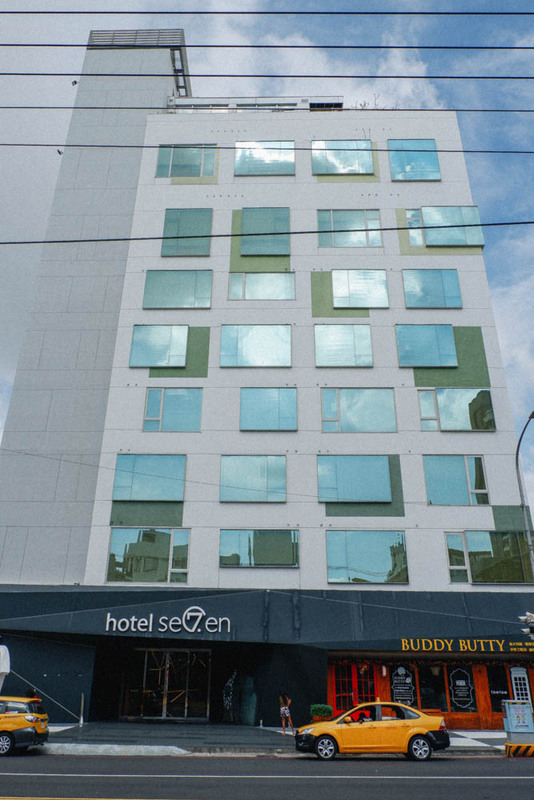 What did you think of my review of Hotel 7 Taichung? 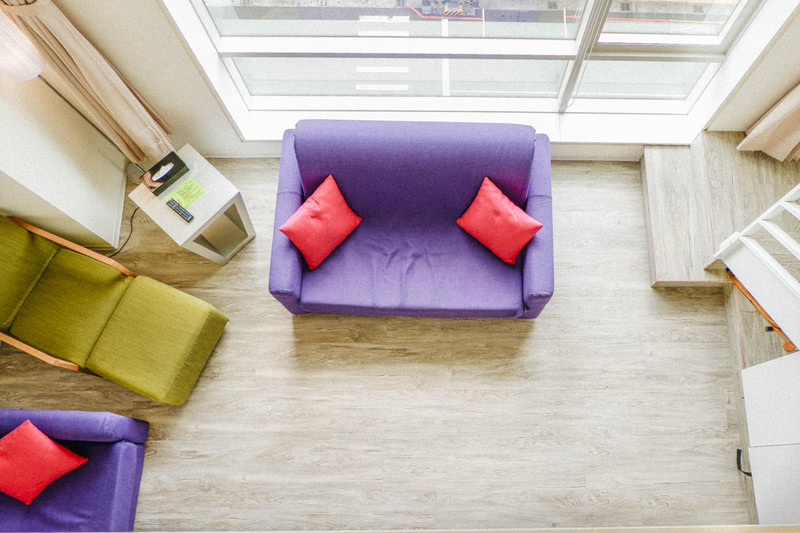 Are you planning your own trip to Taichung and are looking for a hotel? If you enjoyed this post, please leave me a comment in the box below. Wow! This is a nice place. Very timely since we're also looking for a place to stay in Taichung. We plan to visit mid-November. Will check out of there rates. Thank you for sharing. This place looks amazing! 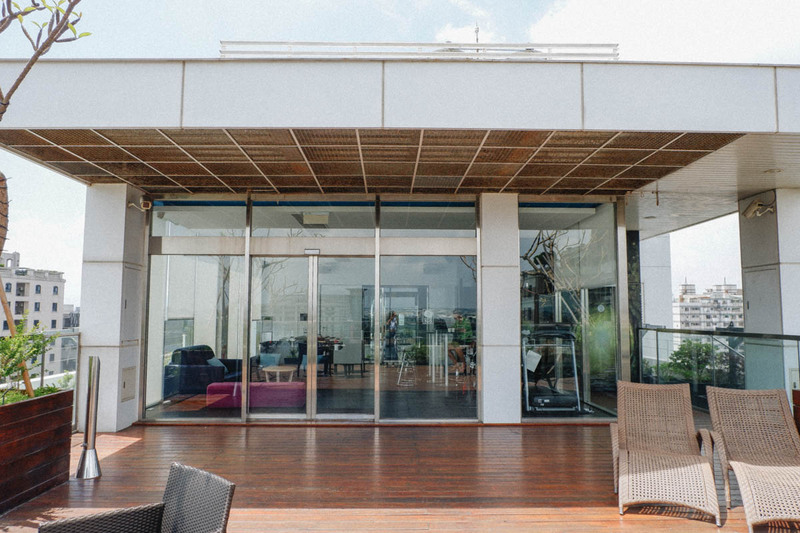 I feel like I would spend most of my nights on the sun terrace! 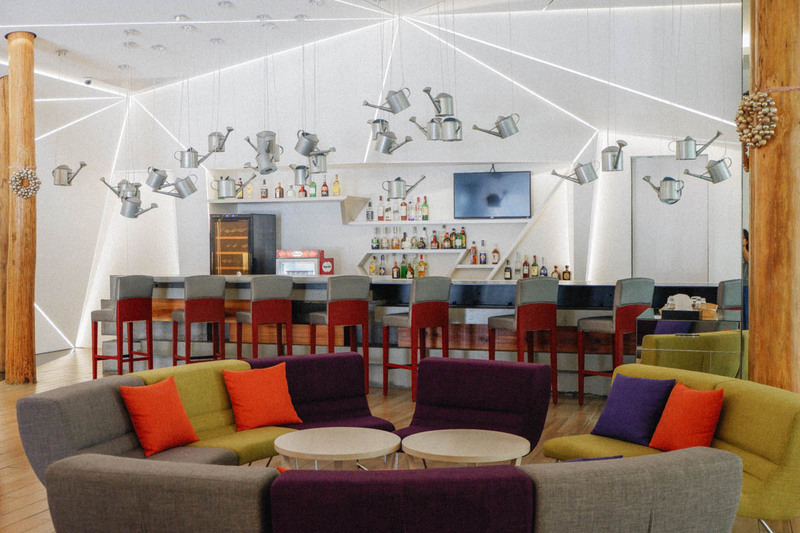 Modern and sophisticated are my kind of hotel styles. This hotel looks absolutely stunning and with all the amenities as well as being close to so much great food it seems like the perfect stop. Beautiful photos! That alarm clock would have terrified me if I didn’t know what it was! 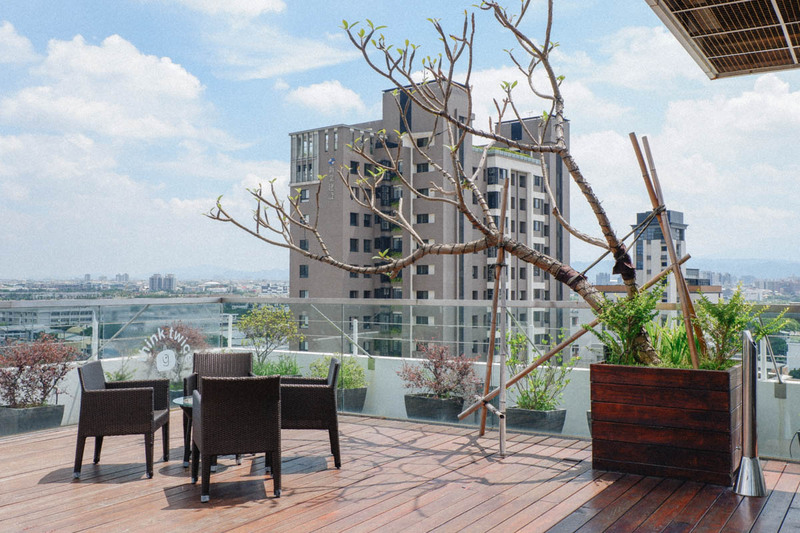 the Hotel Se7en in Taichung looks like a perfect place to stay to have a wonderful holiday. Liked the way they have added colours so beautifully on the white background. Very soothing and energising. I think this is the kind of place I would like to stay at as well! I love the quirky and modern design. Also the alarm clock system seems like a fun feature. I will remember this place for my future journeys. It looks like a wonderful place and I bet that you enjoyed your stay there! Thanks for keeping us updated! !